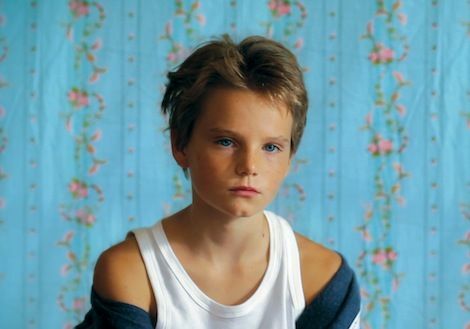 Like a lighter, gentler Boys Don’t Cry for pre-teens, writer/ director Céline Sciamma’s second film tells of 10-year-old Laure (Zoé Héran), mistaken for a boy when she and her family move to a new apartment outside Paris. Sciamma’s debut, Water Lilies, centred on the crises of teenagers involved in their school’s synchronised swimming team. With Tomboy, she’s shifted down-age a few years, but shows the same knack for drawing natural performances from her young actors. Even Malonn Lévanna, as Laure’s six-year-old sister, avoids all the usual bright-beyond-her-years clichés. As Laure, Héran – onscreen virtually throughout – is convincing both as girl and as girl-being-boy. It’s a beautifully gauged study of a girl starting to explore her own sexuality and her reaction to gender roles, as well to the currents in her family life. Her parents are warm but preoccupied, the mother pregnant (with a boy), the father working long hours. Sciamma never indulges in expository speeches, but there’s a world of meaning in Laure’s glance as Dad amiably ruffles her hair then indulges in cuddling and tickling games with little sis. Similarly, the cat-out-of-the-bag moment, when it comes, isn’t overplayed: it’s painful (not least for Jeanne Disson’s Lisa, the girl who’s become attracted to ‘Mikael’) but Laure, we can see, is resilient enough to survive it. And praise be for no sententious ‘we’ve all learned something today’ scenes.